Planning a Bathroom Renovation: First Steps. Although it is the smallest room (usually!) in a home, the bathroom is not the easiest to renovate. Don’t underestimate! Take a little time to digest all your choices AND all your restrictions. Doing a bathroom renovation the right way the first time is well worth taking your time and considering all your options. Budget is always an issue. Before looking at the first piece of tile know what you can spend overall. Just like with a Kitchen Renovation: take stock of the things you are going to replace. Make a list. Tub, sink, toilet, tile, towel rack, cabinets. Get the dimensions. Planning a bathroom renovation can’t be done without exact dimensions. Know the plumbing, wiring, and wall studs. Be realistic on if you can rewire, re-plumb, and re-structure this room in your budget. Find some nice software to put your bathroom specs into and move things around until you are satisfied with the general placement of the sink, toilet, and bath and / or shower. Hate being cold in the winter? Don’t forget a heater! Put those outlets in the perfect spots – and plan a space for those things you always use in those outlets!! Get ideas on layouts from well-known brands, such as Kohler. 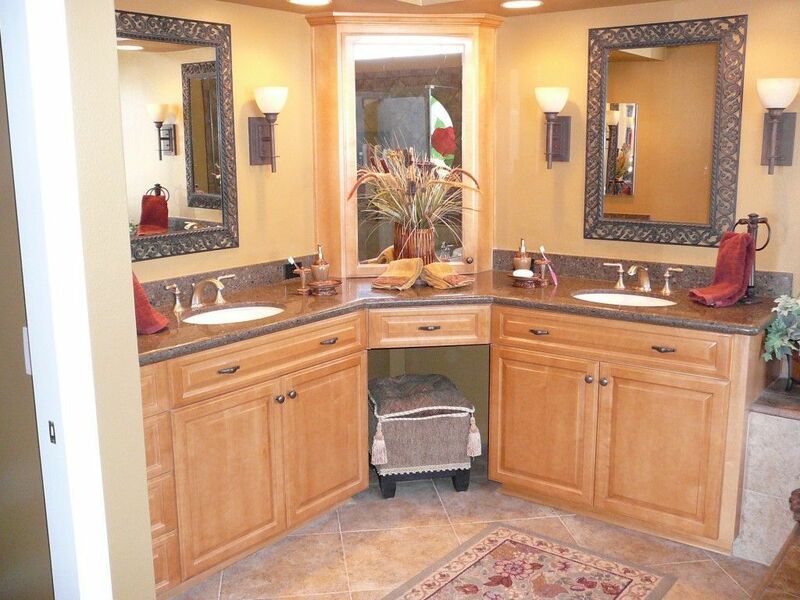 Write down your restrictions: max size of tub, sink, cabinets. Look at hundreds of bright colored, high quality pictures. Yes, I’m serious. Pinterest is a good place to start. Look at more pictures. Yes, I’m serious. Check out Houzz. What is going to make you happy? Extremely functional and toned down or Glamorous and reflective of you personally? How many people need to be happy here? Is this a one person bathroom or is your household the kind that insists on using the sink you are standing in front of? PLAN IT! Be creative and Get Your Own Sink, lol. Start to narrow down the Over-All colors and theme. Antique, traditional, modern? Wood, tile, stone? A mixture? Think about lighting, a lot. Find examples of lighting that will work with your space, colors, and theme. Lighting can make or break even the most well designed space. Spend a lot of time standing in your bathroom, laptop or tablet in hand with the pictures you love and the blueprint you’ve made. Just do it. Look at what you want and what you have right now very closely and often. Never hurry, you’ll be spending a lot of time in this room. Know what you want and if it will work. Check it out: Will things fit right? If you put that big tub will you still have your toilet paper holder in an ideal position? Is it possible to have the cabinets look nice if you don’t have the natural lighting of the ones you covet from Pinterest? Sit in the place you are imagining different and reach around. Where is the ideal placement of things? Do you have the towel rack clear across the room? Be Real. Come back down to Earth and pick the things that will Work within the restrictions you have: budget, dimensions, layout of electricity and plumbing, etc. Be happy, but flexible, with your plan before you call the first company to quote you.